As the school year gets underway, Bethel College’s peacebuilding institute, KIPCOR, is also starting up this year’s schedule of short courses. KIPCOR, the Kansas Institute for Peace and Conflict Resolution, is once again offering a variety of educational opportunities, with the aim of both serving those with training in conflict mediation and those who simply want to learn better ways to handle conflict, have civil conversations and build community. “We want to support people who are practicing mediators, who might have taken our training,” says Kniss, “as well as offer training that many people are asking for, in basic skills that can apply to daily life. Most courses are offered on a single day, with the afternoon session geared to skilled mediators with a focus on enhancing their practice, and the evening session intended for anyone interested, regardless of previous experience. The afternoon sessions are three hours, from 1:30-4:30, at a cost of $35 per session and the evening sessions are two hours, 6:30-8:30, for $25. All sessions include a time of networking and refreshments starting a half hour before the course begins. Oct. 11 is Circle Process for Mediators (how to lead circles in mediation practice), and Communication Skills for Tense Times (learning skills for having “courageous conversations that build relationships rather than divide”). Nov. 8’s afternoon session will be on workplace mediation and organizational conflict, while the evening session is a primer on facilitation skills, Facilitating for Productive Public Conversation. The final short course of the fall semester will be an evening offering, Dec. 6, Unpacking Diversity Training – looking at next steps and further learning after completion of a diversity training session. The next day, Dec. 7, KIPCOR offers its annual CME/CEU short courses for mediation practitioners, 9:30 a.m.-4:30 p.m. in Krehbiel Auditorium in Luyken Fine Arts Center. “KIPCORe Skills” resumes in the new year on Jan. 17, with the evening session Teams That Work (basic teambuilding practices). Feb. 7 will be Sticky Situations in Domestic Mediation in the afternoon, with Building a Trauma-Informed Culture at Work and Beyond in the evening. The final day in the 2018-19 course series is March 7, with a repeat of Circle Process for Mediators and, in the evening, Common Sense Justice (Restorative Justice 101). All courses will be taught in the KIPCOR offices at 2515 College Ave. in North Newton, except the CME/CEU shorts. Go to kipcor.org, where you can learn more about the courses, download flyers, and register online. Most sessions will be co-led by a KIPCOR staff person and a regional expert in the particular topic being addressed. Visiting experts are Joyce McEwan Crane and Gregory Cole, both of Wichita, Donna Schenck-Hamlin, Manhattan, and Art Thompson, Topeka. Schenck-Hamlin co-founded the Institute for Civic Discourse and Dialogue at Kansas State University, and is a program/project associate for both the ICDD and the Center for Engagement and Community Development at K-State. Thompson, a professional mediator, was formerly the dispute resolution director for the Kansas Supreme Court. Cole is a successful Wichita businessman who has also taught leadership at the college level. KIPCOR was founded in 1985 and is one of the oldest regional peace institutes in the United States. KIPCOR offers an array of resources in conflict resolution and peacebuilding, as well as an extensive networking system for consulting and intervention. Learn more at kipcor.org. The judges for an annual peace oratorical contest, open to colleges in the United States and Canada, chose junior Sarah Balzer’s speech as this year’s overall winner. Balzer, Inman, wrote and gave the speech as part of the C. Henry Smith Peace Oratorical Contest, taking first place in the Bethel contest last April, which then made her eligible to represent Bethel in the wider competition. “We have become so accustomed to the convenience [of] plastic,” Balzer said, “that we don’t often think about where our trash goes after we toss it. Balzer traced the journey of a plastic water bottle thrown into the trash. Most likely it goes into a landfill, she said, where over time chemicals that are harmless when bonded together begin to break down and leach, as toxins, into soil and groundwater. People who live closest to landfills come from populations that are disproportionately low-income and/or of color, she noted. A bottle that doesn’t go into a landfill most likely ends up in the ocean, contributing to the huge garbage mass, twice the size of Texas, accumulating in the Pacific. The plastic garbage interferes with fishing and the livelihoods of people with little else to fall back on, Balzer pointed out. Plastic waste kills vast numbers of marine animals outright or ends up as toxins in their bodies, which again disproportionately affects the human populations who rely on these animals for food. “By following the journey of the plastic water bottle we’ve tossed in the trash, we can see how, over time, the toxic substances used in plastic production can wind up on someone else’s plate, negatively impacting their overall well-being,” Balzer said. Balzer wound up her speech by saying that, in addition to being called to prevent direct physical violence and injustice, Christians are challenged to care for creation. “When Jesus said, ‘Love your neighbor,’ he did not simply mean ‘Do not kill your neighbor.’ Our Christian peace perspective calls us not only to abstain from fighting, but also to go beyond current societal norms, examining our own lives to find ways to prevent injustice and speak up for the oppressed. Combating environmental degradation is one way to do so. While it’s necessary to “educate ourselves and others about the harmful effects of plastics” and advocate for policy changes such as plastic grocery bag bans, Balzer said, perhaps most important is to “change a few of our everyday habits, taking our reusable bags to the grocery store, refusing straws at restaurants or taking the time to do the dishes at family gatherings [and other potlucks] instead of using plastic utensils. 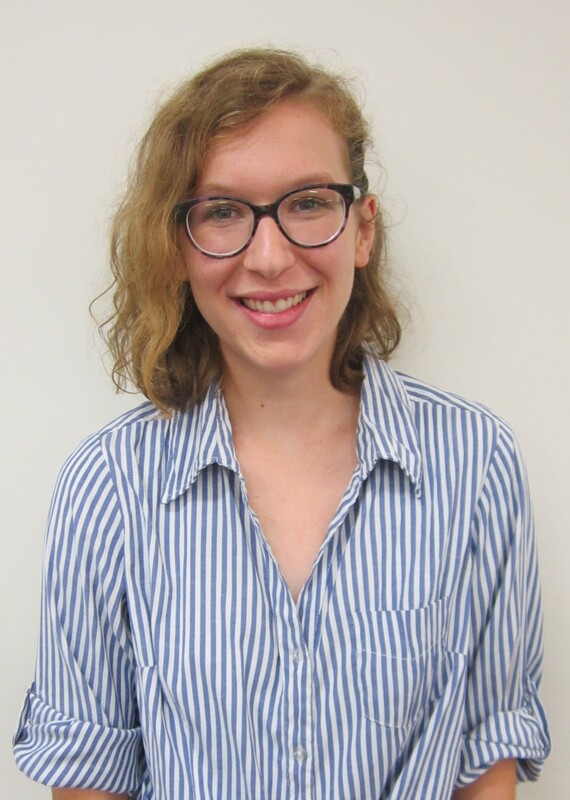 As the first-place winner of the binational C. Henry Smith contest, Balzer received a cash prize of $500, plus a $300 scholarship to a peace-related conference or seminar of her choice. Balzer said she was “quite surprised” by her first-place finish in the national contest, in particular because entering at Bethel was her first experience with a speech competition. “I am happy to have been able to draw attention to one of the ways that protecting our environment can promote peace,” she said. Balzer is majoring in social work with minors in peace, justice and conflict studies, and Spanish. Her home congregation is Buhler Mennonite Church. Schrock-Hurst received $225 in cash and a $200 scholarship, and Agutu $150 and a $200 scholarship. The C. Henry Smith Peace Oratorical Contest is open to all students at Mennonite and Brethren in Christ colleges in Canada and the United States. To be considered for the contest, speeches must apply a peace theme to a contemporary concern. Directors of the C. Henry Smith Trust established the contest in 1974 in honor of the late Mennonite historian and professor at Goshen College and Bluffton (Ohio) College, now Bluffton University. Participating colleges host individual campus contests, usually during the spring semester of the academic year, and judges selected by MCC choose the top three speeches from the winners of each campus contest. This year’s MCC judges were Elizabeth Miller, Bogotá, Colombia, MCC Colombia worker; Trent Voth, a member of the ministry team at Toronto (Ontario) United Mennonite Church; and Jill Schellenberg, a professor of criminology and restorative justice at Tabor College, Hillsboro, Kan.
Bethel’s C. Henry Smith Peace Oration contest winner, Sarah Balzer, has a simple suggestion: Make peace through potlucks. “We have become so accustomed to the convenience plastic provides,” Balzer said, “that we don’t often think about where our trash goes after we toss it in the Dumpster. Most likely it goes into a landfill, she said, where over time the chemicals that are harmless when bonded together begin to break down and leach, as toxins, into the soil and groundwater. People who live closest to landfills come from populations that are disproportionately low-income and/or people of color, she noted. If the bottle doesn’t go into a landfill, then it’s probably in the ocean, contributing to the huge garbage mass, twice the size of Texas, accumulating in the Pacific. The plastic garbage interferes with fishing and the livelihoods of people with little else to fall back on, Balzer pointed out. They are responsible for killing vast numbers of marine animals, or ending up as toxins in their bodies, which again disproportionately affect the human populations who rely on these animals for food. “When Jesus said, ‘Love your neighbor,’ he did not simply mean ‘Do not kill your neighbor.’ Our Christian peace perspective calls us to not only to abstain from fighting, but to also to go beyond current societal norms, examining our own lives to find ways to prevent injustice and speak up for the oppressed- and combating environmental degradation is one way to do so. Only one other prize was awarded, second place to Victoria Riddick, freshman from Aztec, New Mexico, for a speech entitled “Finding Forgiveness in a Man I Never Knew,” about her recovery from the trauma of the day her best friend was killed in a school shooting. At Bethel College, the Kansas Institute for Peace and Conflict Resolution (KIPCOR) sponsors the annual C. Henry Smith Peace Oration Contest. Both students received cash awards. Balzer sent her manuscript and a DVD recording of her speech to Mennonite Central Committee headquarters in Akron, Pennsylvania, to be judged against the winners from the other Mennonite and Brethren in Christ colleges and universities in the United States and Canada. Bethel College ranks at No. 1 in College Consensus’ ranking of Kansas colleges and universities, and is the only Kansas private college listed in the Forbes.com analysis of top colleges and universities, the Washington Monthly National Universities-Liberal Arts section and the National Liberal Arts College category of U.S. News & World Report, all for 2017-18. The four-year liberal arts college is affiliated with Mennonite Church USA. For more information, see www.bethelks.edu. If Restorative Justice is about “the community,” then the first RJ conference in Kansas was about creating community. Bethel College and its peacebuilding institute, the Kansas Institute for Peace and Conflict Resolution (KIPCOR), hosted that conference, Restorative Kansas: A Vision for Justice, April 19-20 on the Bethel campus. Wilson and Greg Paul, a communication studies professor at Kansas State University, moderated the keynote panel for that opening session. Morris Jenkins is helping the Fort Myers Police Department develop a community engagement project. Joanne Katz, a retired professor of legal studies, recently returned from a Fulbright term in Vietnam. Raj Sethuraju works with community policing. Jasmyn Story focuses on integrating RJ into educational institutions, particularly around sexual violence on college campuses. Edward Valandra leads the Colorizing Restorative Justice project for Living Justice Press. The interaction was everything conference planners hoped for and more. She says there’s a possibility of recreating the panel in the future, perhaps at a national or regional RJ conference, or even virtually, given that RJ practitioners are often widely scattered. Much of the day-and-a-half-long conference was given to workshop sessions. Since Kansas has a fairly active “Restorative Justice in Schools” initiative, of which KIPCOR is also a key part, one workshop track was devoted to that, with a session on restorative practices in Kansas public schools, a session on national trends, and a session on restorative practices in higher education. Other workshop options included “Restoring Justice in Native American Communities,” RJ in prison programs for victims and offenders, restorative practices in faith communities, juvenile justice reform, RJ and community policing, and trauma-informed restorative practices. Story and David Karp, a professor at Skidmore College, spoke in Bethel College’s Friday convocation about a project called Campus PRISM (Promoting Restorative Initiatives for Sexual Misconduct), which works at having RJ inform issues of sexual harassment and sexual violence on college campuses. Story is herself a survivor of sexual assault. “I had gone through the criminal justice process,” she says, “and it didn’t work for me. It was a ‘system of continuous shame’ that impeded me getting the accountability I deserved. “The starting place is, ‘What was the harm?’” Karp adds. “And then, ‘What are the needs associated with that harm?’ The way you answer those questions can be a restorative response. “What we’ve discovered is that for many survivors, one of the primary desires around healing is acknowledgment of the harm that was done.” However, the U.S. criminal justice system has “trained [the accused] to deny or minimize responsibility,” he says. “So we need to create the conditions for the person who caused the harm to admit it and accept responsibility – because not doing so denies or invalidates the victim’s experience. “We’re not saying … that Restorative Justice is the only option, but it needs to be one option. We’re discovering that many students are [asking] for restorative options. In addition to Bethel College and KIPCOR, sponsors and planners for Restorative Kansas were the Center for Conflict Resolution, Kansas City, Missouri, Kansas Department of Corrections, Victim Services, Topeka, K-State Department of Communication Studies, Mennonite Central Committee-Central States, based in North Newton, the National Association of Community and Restorative Justice (NACRJ), Offender Victim Ministries of Newton, and the Salina Institute for Restorative Justice. Michael Gilbert, executive director of NACRJ, gave his summary observations at the close of Restorative Kansas. “What I saw were deeply substantive, deeply meaningful, intensely important conversations. If you have those conversations with other people in your life, there will be ripples on ripples of good instead of harm. NORTH NEWTON, KAN. – The Kansas Institute for Peace and Conflict Resolution (KIPCOR) at Bethel College wraps up a year-plus-long celebration of its 30th anniversary with an event geared to the whole family. And KIPCOR will partner with Kauffman Museum and local elementary school student artists, art teachers and librarians for the April 22 event. KIPCOR is bringing author and storyteller Rafe Martin to campus for a special performance April 22 at 3 p.m. in Memorial Hall. This is free and open to the public, with a freewill offering taken to support KIPCOR’s work and programming. In addition to the program in Mem Hall, Martin will speak in Bethel College’s convocation April 23 at 11 a.m. in Krehbiel Auditorium, which is also open to the public. He will do eight more performances in local elementary and middle schools and speak to Bethel’s Children’s Literature class in his four days in the area. Martin has written more than 20 books. He is noted for being a children’s author but also brings his words to life as a master story teller, who has performed for audiences of all ages. Many of Martin’s books are his telling of folk tales with multi-cultural themes related to peace, nature and the beauty of celebrating differences between people, rather than using those differences to create division. His writing has been translated into many languages, including Afrikaans, French, Japanese, Korean, Portuguese, Swedish, Xhosa and Zulu. He has appeared in thousands of schools, libraries, festivals and conferences in nearly every state – including Alaska and Hawaii – and as far away as Japan. In the weeks leading up to Martin’s appearance at Bethel, area art teachers and librarians will be leading elementary-age children in exploring Martin’s books and responding with their own artwork. A special exhibit, “Newton Kids Create: Storytelling through Art,” opens at Kauffman Museum April 22. There will be extended museum hours that day, 1-5 p.m., to enable the public to view the exhibit either before or after Martin’s 3 p.m. performance. There will be a reception and book signing in Mem Hall after Martin performs. Newton’s Faith & Life Bookstore is organizing the book signing and will have copies of Martin’s books for sale. Martin’s time at Bethel and in the community is being made possible by the KIPCOR Peace Lecture Endowment, the Newton Et Cetera Shop and donors Jay and Linda Goering of Moundridge, Jim Juhnke and Miriam Nofsinger of North Newton, and Jerry and Leann Toews of Goessel. “Local school PTOs, art teachers and librarians have been very helpful in generating enthusiasm and coordinating Rafe’s schedule,” said Dan Wassink, director of KIPCOR’s Community Mediation Center and chair of the 30th-Anniversary Planning Committee. Also on that committee are Jeff Koller, Donna Zerger and Kirsten Zerger, all of Moundridge, James Lynch, Wichita, and Berneil Rupp Mueller, North Newton. “Beverly Buller and Carol Flickinger have been very important as our committee liaisons to the PTOs, art teachers and librarians,” Wassink added. Martin’s undergraduate degree in English is from Harpur College (now Binghamton [New York] University), where he was the first to earn “highest honors” in English, and he has a master’s degree in English literature from the University of Toronto, where he studied with such notable figures as Northrop Frye and Marshall McLuhan. Martin also received the Empire State Award in 2008, given by the Youth Services Section of the New York Library Association. This one-time award is presented to a living author or illustrator currently living in New York State, and honors a body of work that represents excellence in children’s or young adult literature. Martin shares the honor with such luminaries as Jerry Pinckney, Madeleine L’Engle and Maurice Sendak. Born and raised in New York City, Martin has lived for more than 40 years in Rochester, New York, where, as well as being an author and storyteller, he is also the founding teacher of Endless Path Zendo, a lay Zen Buddhist practice community. His latest book for adults is Before Buddha was Buddha: Learning from the Jataka Tales. Rafe and Rose Martin are the parents of two grown children. NORTH NEWTON, KAN. – Most people would agree it’s harder than ever these days to have a civil conversation when there’s disagreement. The staff of KIPCOR, Bethel College’s peacebuilding institute, has definitely seen this, says Sharon Kniss, director of education and training – and they want to help. 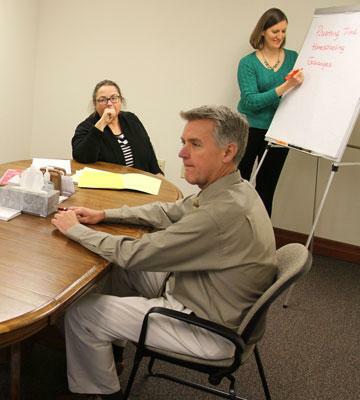 The Kansas Institute for Peace and Conflict Resolution is known regionally for its mediation trainings, and in fact offers a certificate (available for college credit) in conflict resolution. “We are trying to come up with trainings that are more accessible to ordinary people who can’t take four days off, and don’t have a lot of extra funds [for an intensive course],” Kniss says. About a year ago, KIPCOR staff gave a presentation on workplace conflict to the Newton Chamber of Commerce, and floated the idea of having a series of short, inexpensive courses. The reaction there was positive, Kniss says. While KIPCOR staff had working professionals in mind as they were developing the program, they also want it to be useful to almost anyone interested in learning better ways to handle conflict, have civil conversations and build community, Kniss says. Seven of the nine sessions are on Thursday evenings from 6-8:30 p.m., while two are extended, held on Saturdays – Feb. 3 and March 3, 9 a.m.-3:30 p.m. The location is the KIPCOR offices at 2515 College Ave. in North Newton. The short sessions are $35 each and the extended sessions $50. There’s a price break if you sign up for the whole series. Social workers will likely be able to earn CEUs through the courses, Kniss notes, adding that it might be possible for educators as well, but tied to an Individual Development plan and subject to outside approval. Register online at kipcor.org or by calling 316-284-5217. The other extended session, on March 3, is “Facilitation and Dialogue” and will teach basic skills in those areas and “how to run a good meeting,” Kniss says. Titles of the seven evening sessions are “Getting Unstuck” (basics of negotiation, Feb. 8); “Trauma and Resiliency” (working with the impact of trauma personally and collectively, Feb. 15); “Power of Diversity” (looking at cultural competency and the need for difference in all spectrums, Feb. 22); “Building Great Teams” (“going beyond team-building games,” March 8); “Making Conflict Work for Your Organization” (how conflict can actually make an organization stronger and more productive, March 15); “Connected Communities” (ways to build connections in a neighborhood or between organizations and their surrounding area, March 22); and “Leaping Leadership Hurdles” (key principles of self-reflective leadership, March 29). Most sessions will be co-led by a KIPCOR staff person and a regional expert in the particular topic being addressed in that session. Confirmed co-leaders are Joyce McEwan-Crane, Wichita (Feb. 15), Donna Schenck-Hamlin, Manhattan (March 3), Art Thompson, Topeka (March 15), and Gregory Cole, Wichita (March 29). Cole is a Wichita businessman who owns the Good Life Company and who has also taught leadership at Southwestern College in Winfield. NORTH NEWTON, KAN. – A Bethel College graduate is among the 30 people featured in the cover story of the December 2017 issue of The Chronicle of Philanthropy. One of these “movers and shakers” is Aziza Hasan, born in Jordan to a Palestinian father and American mother, who later moved to Halstead, graduated from Halstead High School and Bethel College. She is now based in Los Angeles as the executive director of NewGround: A Muslim-Jewish Partnership for Change, which she co-founded in 2006. Following graduation from Bethel in 2003 with a degree in history and social science and a certificate in conflict resolution, Hasan spent two years as an AmeriCorps volunteer with Interfaith Ministries of Wichita, and completed an M.A. degree at Wichita State University. When The Chronicle put out a call, earlier this year, for names of people who fit its criteria of quiet impact in the nonprofit world, the magazine “wasn’t prepared for how many we would find. The individuals profiled were drawn from a pool of more than 300 nominations. Among those profiled are people working through their nonprofit organizations to break down the color and gender barriers in outdoor sports, help first-generation college students complete their degrees, de-stigmatize and effectively treat mental illness, provide safe space for homeless students, fight the opioid epidemic, improve financial access for marginalized groups such as poor women and native people, and, in Hasan’s case, build bridges across deep religious divides. You can read the profile of Hasan at www.philanthropy.com/article/Building-Bridges-Across-Faiths/241857 and access all the profiles at www.philanthropy.com/specialreport/the-influencers-people-quietl/159. NORTH NEWTON, KAN. – The Kansas Institute for Peace and Conflict Resolution (KIPCOR) at Bethel College will open its annual Film Series and kick off a new restorative justice network at the same time. This film will be part of the launch event for the Kansas Restorative Schools Network, which KIPCOR is coordinating. Since 2011, KIPCOR staff have been helping to facilitate Restorative Practices in Schools trainings for teachers, administrators and school social workers, with more than 1,000 of them in schools across Kansas. The Nov. 12 event marks the official start of an organized network of leaders and practitioners of Restorative Practices in Schools from around the state, many of whom are coming to campus for the film and other events. The showing of Healing Justice is free and open to the public as part of the annual KIPCOR Film Series, with a freewill offering taken to help support the series and the work of KIPCOR. Discussion leaders for the talk-back session after the film will be members of KIPCOR’s Restorative Schools Initiative training and consulting team. Healing Justice looks at restorative justice as a response to the school-to-prison pipeline. The term refers to a disturbing national trend wherein children are funneled out of public schools due to exclusionary and punitive disciplinary practices, into the juvenile and criminal justice systems. Many of these children have learning disabilities or histories of poverty, abuse or neglect. They would benefit from additional educational and counseling services, but instead are isolated, punished and pushed out. Just released this month, Healing Justice is the newest film from World Trust Educational Services, a nonprofit social justice organization that provides tools and resources for people interested in tackling unconscious bias and systemic racial inequity in their workplaces, their communities and their lives. Since 1998, World Trust has been producing films, curriculum and workshops that educate in an effort to deepen the conversation about race. Directed and produced by Shakti Butler, Healing Justice addresses the need for comprehensive criminal justice reform in the United States. It highlights various healing methodologies, including restorative justice practices, with the goal of supporting a national dialogue that investigates and considers alternatives to the current punitive model of justice. The rest of the afternoon’s activities, while geared towards those who have completed Restorative Practices training through KIPCOR, are also free and open to the public. Membership in the Kansas Restorative Schools Network is open to those who have completed KIPCOR’s Restorative Practices training. Others who are interested are invited to join as supporters, to receive news about the network’s activities and stay connected. Bethel College ranks at No. 1 in College Consensus’ ranking of Kansas colleges and universities, and is the only Kansas private college listed in the Forbes.com analysis of top colleges and universities, for 2017-18. The four-year liberal arts college is affiliated with Mennonite Church USA. For more information, see www.bethelks.edu. Read the article on Bethel College’s Press Release page here. NORTH NEWTON, KAN. – The Kansas Institute for Peace and Conflict Resolution (KIPCOR) at Bethel College will welcome as its new director a person with deep experience in mediation and restorative justice. Sheryl R. Wilson, Cary, North Carolina, will begin Nov. 6. She follows long-time director Gary Flory, who retired this summer, in the position. Wilson has a B.S. in mediation and communication studies and a Masters of Liberal Studies in restorative justice from the University of Minnesota. For more than a decade, Wilson has served as a restorative justice practitioner and conflict resolution specialist, working with victims and survivors of “crimes of severe violence” to address trauma healing, mediating in criminal cases with a focus on facilitating dialogue, and training victim-offender mediators in anti-racism and restorative justice practices, in settings around the country. Her mediation work was featured on the A&E Network restorative-justice pilot Confrontation in 2006. In addition to serving as an independent contractor in mediation and conflict resolution, Wilson currently works at Duke University’s Clinical Research Institute in data collection and documentation, and as a substitute teacher in the Wake County (North Carolina) Public Schools, a setting in which she practices restorative justice strategies. Wilson is president of the National Association for Community and Restorative Justice and has served on the board of the Victim Offender Mediation Association, an international professional organization. Wilson has been special projects coordinator at the Georgia Council for Restorative Justice at Georgia State University, Atlanta, where she was responsible for community outreach, training and raising awareness of restorative justice initiatives in the state; as executive director of Southern Truth and Reconciliation (STAR) in Atlanta, with a mission to collaborate with communities to adapt the “truth and reconciliation” process in response to racism and restorative justice; and as a certified parent educator in the Teen Parenting Program in the Montgomery (Alabama) Public Schools. She also has a long history of community involvement. Since moving to North Carolina, she has been a volunteer mediator with the Juvenile Justice Project at Campbell Law School in Raleigh, and currently is a teacher and facilitator in the Racial Reconciliation Ministry of Cole Mill Road Church of Christ in Durham. “I am very enthusiastic about the future of KIPCOR,” said Bethel Vice President for Academic Affairs Robert Milliman. “We have benefited for years from the wise direction of Gary Flory. Building on his legacy, while exploring new avenues of work, Sheryl Wilson will bring expertise, experience, professionalism and enthusiasm to lead the work of KIPCOR’s excellent staff to the next level. Founded in 1985, KIPCOR is one of the oldest peacebuilding institutes in the United States. It is dedicated to solving human conflict, both locally and globally, and promoting peace and social justice. For more information, see kipcor.org. Bethel College ranks at No. 1 in College Consensus’ ranking of Kansas colleges and universities, and is the only Kansas private college listed in Washington Monthly’s Best Liberal Arts Colleges 2017-18 and in the Forbes.com analysis of top colleges and universities for 2017-18. The four-year liberal arts college is affiliated with Mennonite Church USA. For more information, see www.bethelks.edu. Leonard Pitts Jr. presented a lecture, “America in the Age of Trump”, in celebration of KIPCOR’s 30th anniversary. You can read more about Pitts’ presentation here.